And they support ocean conservation. If you've always wanted to step into the mind of a sea creature, we have the books for you. Author and journalist John Morano has written a set of novels in his Eco-Adventure Series told from the perspective of various sea creatures. He tells Azula in an interview that he wants the novels to drive home the importance of marine conservation in an entertaining, but enlightening way. To him, marine life is as interesting as a big-budget superhero film. He sees these creatures as superheroes in their own right. "For me, I'll take an octopus any day of the week," he says. "They're superheroes, you know? [They can be] any color you want, [they have] no bones, poison, three hearts, blue blood, 200 suckers, they can regenerate an arm, they can give up an arm, jet propulsion — they're superheroes." "Those other [superheroes] are fantasy — mine is real. It actually lives and exists, so I would like to tell that story." His fascination with what octopuses can do is highlighted in his second book "Makoona." There, Morano takes readers into the mind of Binti, an octopus living in the Makoona coral reef. That novel came on the heels of his first book, "A Wing and a Prayer," about Lupé, a petrel from Guadalupé Island. In real life, these seabirds are believed to be extinct — their population decimated by cats brought to the island by humans. In both novels, the real-life threats these animals, and the sea around them, face are addressed head-on with the hope of educating readers about these real issues. Morano says he has always loved the ocean, and his first book idea came to him on a beach vacation when he saw a news segment about a male animal that was the last of his kind. He realized in that moment that "when [the animal] dies, which he's surely going to do one day, the planet will never see this animal again." The finality of that made Morano want to shed light on the plight of these endangered or nearly extinct animals. So, he chose a bird as his first protagonist because their ability to fly meant he could cover a lot of ground — literally and metaphorically. 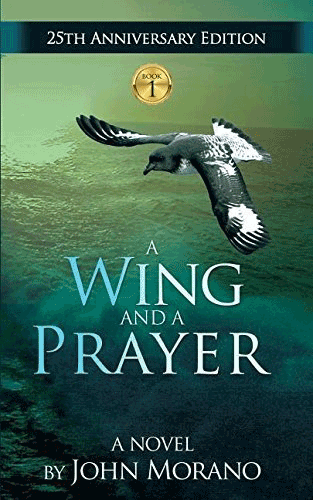 Indeed, in "A Wing and a Prayer," readers learn not just of Lupe's struggles, but, through his interactions, they learn about the plight of sea turtles, other birds and the ocean as a whole. By putting the reader into the mind of these animals, rather than into a human mind observing these animals, you get a fresh look at such an important issue as marine conservation. You really feel like you are that petrel or octopus struggling in a dying world. But the stories aren't all depressing either. They spin magical tales made all the better by learning real ocean facts along the way. Morano wants you to fall in love with these oceanic superheroes as he has. 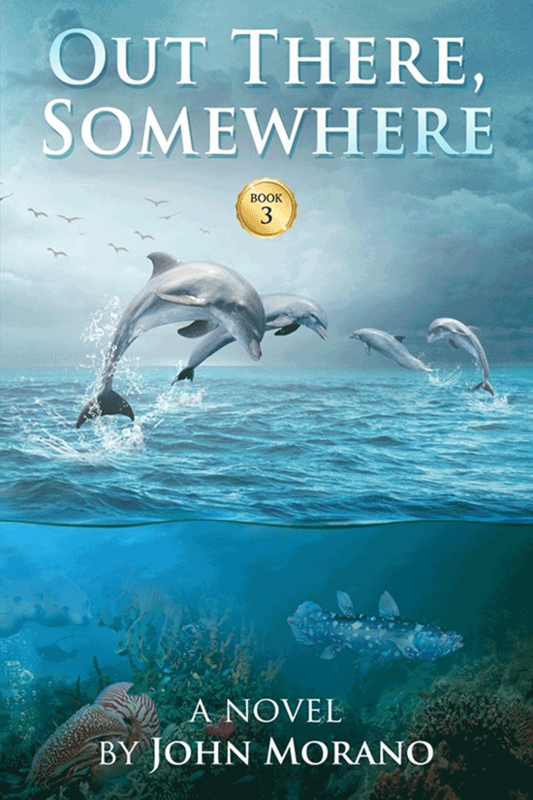 And, in the spirit of continuing a mission for marine conservation, he just released a new edition of his third Eco-Adventure book, "Out There Somewhere." 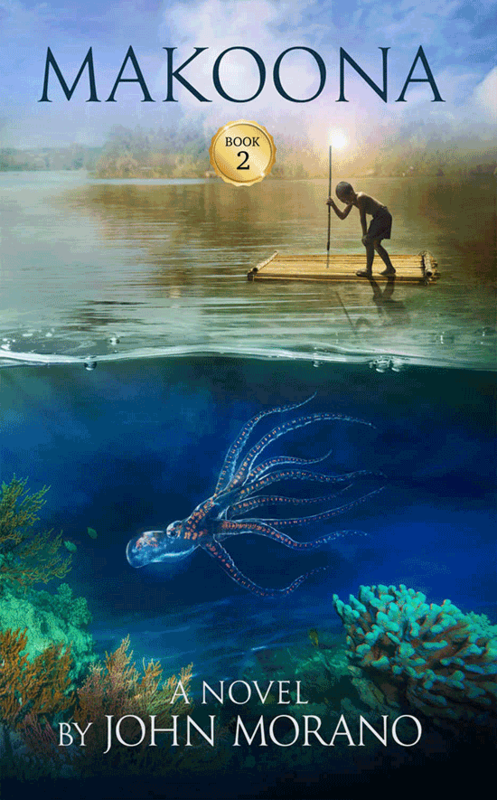 This novel follows ocean animals in an aquarium called Seatopia. Readers will meet an assortment of creatures, including the coelacanth. It's a living fossil fish that he says has never been successfully kept in captivity for more than a few hours. Morano has been writing these books for several years and says he's both inspired by the action people are taking for conservation and dejected about what is still left to be fixed. "There's things [happening] that are like from a horror movie," he says. "Acidification, plastic in the ocean, global warming, altered sea currents, altered salinity — all these things are really frightening ... it motivates me to just keep writing." And write he will. "I'm not Bill Gates or Warren Buffett. I can't throw $100 million at a problem and make it go away," he continues. "I have to figure out, what do I have that can in some small way change the world? All I really have is my pen; I can write a little bit, so I'll do that." Ultimately, Morano wants to give a voice to the voiceless. "An endangered species [or] habitat will never speak for itself," he says. "And if it doesn't, it will disappear forever. So that story needs to be told, and someone has to tell it." Fortunately, Morano has taken up the task and will continue to educate and inspire through his novels for as long as those voiceless animals need.